Yesterday I metaphorically ‘broke the sod’ on a wee project that’s been rattling about in the nether regions of my otherwise vacant skull for a while now. 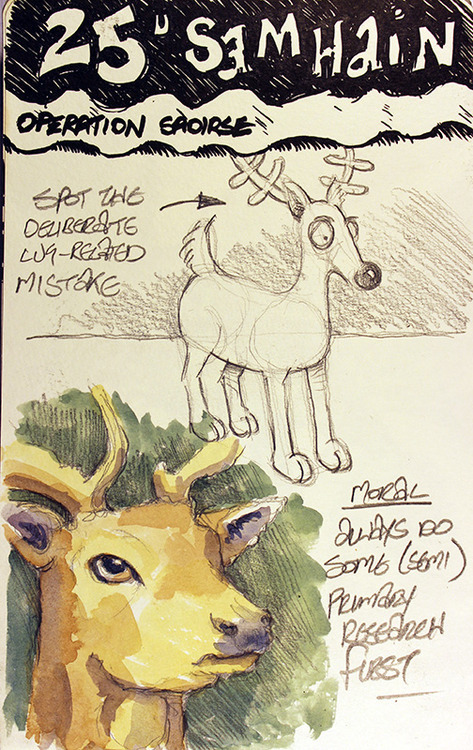 I’m not giving away too much at the minute –mainly because the idea is still in the embryonic stages– but if I say it involves a reindeer with a red nose, you probably get some idea of where this is going. 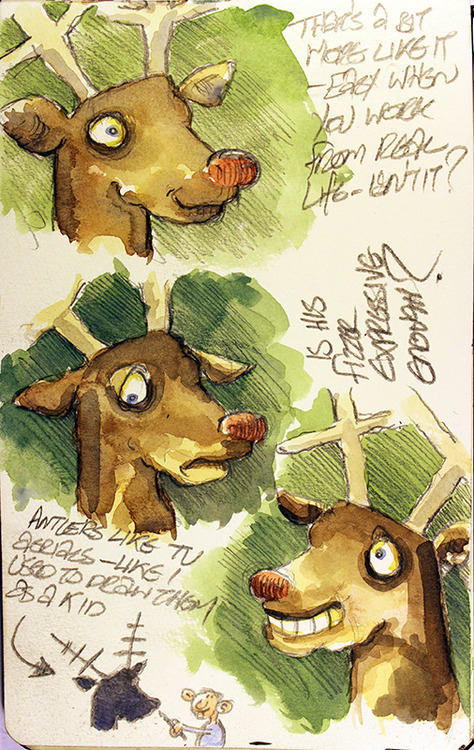 Anyway, as the following sketchbook scans show, Initially I stupidly tried to draw a cartoon reindeer from my imagination, with the result that it ended up looking like someone had chewed up a load of pencil shavings and projectile vomitted them onto the page. Chastened by my incompetence, I quickly flew to Lapland fired up Google Image search and found some real photos of real reindeer to work from. Although the results aren’t masterpieces by any stretch of the imagination, I think they prove the value of always working from life [or as near to it as you can get], rather than imagination. For me anyway.